This entry was posted in papa pear and tagged papa pear saga, papa pear saga cheats, papa pear saga guide, papa pear saga tips, papa pear saga walkthrough on December 20, 2013 by admin. Papa Pear Saga is a bit different from the other iOS puzzle games from King in that you can actually earn almost all of the boosters during play by performing certain tasks. 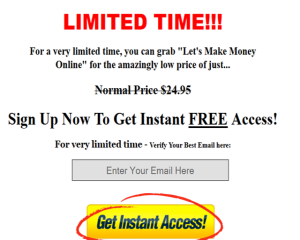 It goes without saying that you should look for opportunities to earn a helpful booster whenever you can. Here’s a list of the various power-ups and how to get them. Fire Pin: This power-up basically creates a halo around your pear that will remove any pins it comes in contact with. Its pin-clearing ability makes it a great fit for the levels where you need to collect a certain amount of vegetables. It’s also very useful in levels with pear-destroying spikes, as it will burn off the spikes and render them harmless for the duration of the game. You can create a Fire Pin by bouncing a pear off one side of the screen and having it reach all the way to the other. It’s okay if it makes it there by bouncing along vegetables, so long as it touches both sides. Grande Pin: Super-size your pear with this useful power-up. When you collect this, your pear becomes huge, great for knocking out more pins and pushing the big fruits around in stages where you have to drop the fruit into the buckets. Create this one by bouncing a single pear 50 times. This is one of the harder ones to earn during play, but if the stage is populated with enough pins and indestructible bamboo shoots, it’s doable. Double Pin: This power-up splits your pear into two, which is useful in every level but particularly valuable in stages where you need to light up all the buckets. Try to hit this power-up at an angle so that your double pears don’t fall in the same direction. You can earn this one by bouncing a single pear off the edges of the buckets five times. For how useful this item is, it’s pretty easy to earn and you’ll likely get them without even trying a lot of the time. Wake-Up Pin: This power-up has a very specific use. It lights up one of the buckets at the bottom of the screen. Naturally, this is very useful in levels where you need to light up all the buckets, but not so useful anywhere else. It’s easy enough to make, but the cost is high: simply fire seven pears into the same bucket to make it appear. If you have one stubborn bucket left along with eight pears and you don’t think you’re going to be able to make the shot, it’s worth firing seven of them into an easy-to-reach bucket for this one. Multiplier Pin: While it lacks the razzle-dazzle of the other power-ups, hitting one of these pins will increase your score multiplier. Given that stages have score requirements, this little fellow is always welcome. You’ll find these scattered in stages automatically more than any other power-up, but if you want to earn one, you’ll have to clear out every single specimen of one particular vegetable or fruit. In sparsely-populated stages, this isn’t too hard, but in the crowded stages, this is pretty hard to do. The game will issue you a sampler of each of these power-ups in particular stages. You can use them to create a pin in the next stage you play, but be careful, because the game is never going to give you any more of them. Unless, that is, King decides to implement a power-up roulette like they’ve done in Candy Crush, but you shouldn’t count on that. Save them for when you need them most, and use them wisely. Wasting a Wake-Up Pin on a level whose goal doesn’t involve lighting up buckets isn’t a wise use. Like other King games, Papa Pear Saga features a variety of goals that differ from stage to stage. This is perhaps its biggest differentiating factor from Peggle, and you’ll need to approach each stage type a bit differently. Here’s a list of the types of goals. 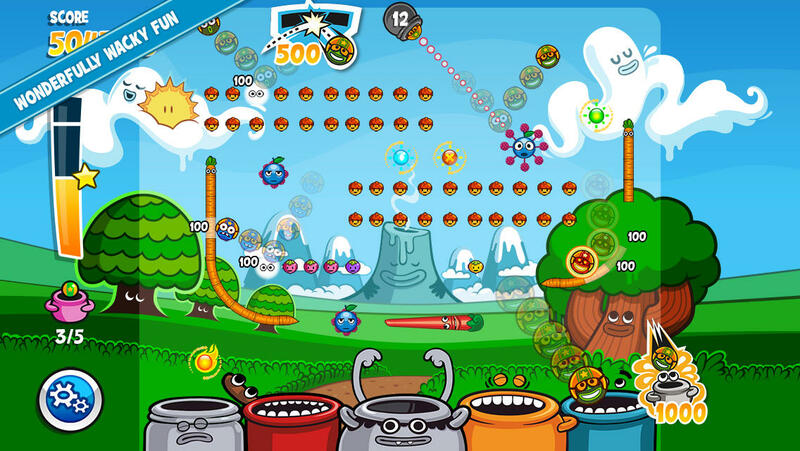 Light Up The Buckets: The goal in these stages is to drop a pear into each of the buckets at the bottom of the screen. The buckets will sometimes have lids on them that you need to hit a few times and break. Which buckets have lids will actually change every time you play the level, so it’s possible to end up with an easier objective by chance. Make the most of each shot on these levels. It’s not that important to clear pins unless they’re directly blocking a good shot on a tricky bucket. Remember that if you’re having trouble with one particular bucket and you have enough pears to burn, you can create a Wake-Up Pin by dumping seven of them into an easy bucket. Clear X Vegetable/Fruit Type: This is pretty straight forward. You have to clear a certain number of a particular type of pin. Your progress is displayed at the side of the screen. Early on, you don’t have to clear all of them, so feel free to go for the easier ones. Later on, you will need to get nearly all or all, so plan your shots carefully. If you’re only getting one pin with one pear, you’re failing. Make a Double Pin or a Fire Pin to help you out if you’re having a lot of trouble. These stages are definitely the hardest ones in the game so far. Drop The Fruit Into The Buckets: Large fruits are placed around the board, and you need to knock them down into any bucket. These stages aren’t too hard, just keep your goal in mind. You can push the fruits a little with your pear, but it’s far more effective to remove the ground from under them. A smart move is to use your first few pears to clear a funnel shape towards one of the buckets and then try to pick off pins in such a way that the fruit will fall down your funnel. Most of the power-ups are very useful in these stages, since the more pins you clear, the easier it is to get the fruit down. Score X Points: Very straight forward, simply reach the number of points the game requests. Make sure you make full use of any Multiplier Pins laying around the stage, and keep in mind that if you bounce a pear off the top of the stage, you’ll earn some bonus points. Always aim high to get the most out of your shots, and look for chances to make Fire Pins. Most stages will have a point barrier you need to break in addition to other goals. In those stages, keep in mind that if you clear the main goal, your remaining pears will be fired off in a Papa Fiesta and rack up a fair number of points, but you’ll want to make sure you’re pretty close to the score cap before finishing up the main goal. Collect X Type Of Power-Up: You need to collect the designated number of power-up pins the game requests. Sometimes there are enough placed in the stage at the beginning. Sometimes, though, you’ll need to provide them yourself. Familiarize yourself with how to make each of the power-up pins and focus, focus, focus. These can be some of the nastiest stages in the game depending on what it’s asking for. Pay attention to the power of your shot, not just the angle. This is one way Papa Pear Saga differs from Peggle, so it’s easy to forget about it. Sometimes a soft lob is far more useful than a full-powered blast, especially when aiming for specific targets like buckets. Aim high. You have a higher chance of hitting more pins, racking up more points, and clearing more obstacles if you start with a pin placed higher in the field. This is good advice in Peggle and it’s good advice here, too. Bucket lids move around each time you start a “Light The Buckets” stage. Don’t lose heart if you’re having a lot of trouble with one of these stages. Since the lids move around each time, you’ll eventually get a favorable set-up. You can fire up to three pears at once. Don’t forget this, because it’s very useful for creating power-ups. You can give a bit more bounce to a pear you’ve already fired by hitting it the right way with another. Don’t fire off all of your pears into the air in rapid succession whilst yelling “ARRGHHH”. This is not Point Break, and you are not Keanu Reeves. Each pear is valuable, so plan your shots carefully, and don’t waste them. King isn’t big on giving players a margin of error. So to all you brave souls out there passing your time by throwing what are clearly peas, not pears, at other vegetables, good luck. Hopefully these tips will help you out while you kill time waiting for a certain game to un-exclusive itself. As for me, I’ll have to wait for King to update with some new stages, so it’s back to the candy mines. The long-awaited mobile version of King’s Facebook game Papa Pear Saga has just popped up on the Google Play platform, and the iOS version should hopefully follow in the very near future. If you’re already playing the game, or just want to get a headstart on the action, here are some essential hints and tips for getting started and scoring big. – The gameplay’s deceptively simple, and is all built around the same core mechanic. At the top of the screen you’ll have a pear-firing cannon, in the middle you’ll see a series of pegs made from acorns, vegetables and all sorts of other objects, and at the bottom is a line of hungry buckets. While you’ll occasionally be given other objectives to meet, most of the time you’re simply trying to clear every peg, and rack up as high a score as possible. – You’ll use up a lot of pears using this tactic, but one way of rapidly increasing your score is to fire off more than one pear at a time. You’re not just limited to firing one at a time, you see, and when you’re under time-pressure this can really make the difference between success and failure. – If you want to get a higher score in Papa Pear Saga, the first thing you need to do is try and rack up as many peg hits as you can before your pears hit the buckets. Can you ricochet off a piece of scenery to keep the shot bouncing around for longer, increasing the number of pegs it’s likely to hit? Always try to keep your pear bouncing around the screen for as long as possible. – If you’re challenged to put a pear in every bucket as well as reach a certain high score, concentrate on getting the high score first. The reason for this is simple – if you clear every peg, you’ve got a completely open line of sight for firing pears at any remaining buckets. Always be on the look out for any ways of simplifying the objectives in the game. – You’ll only have so many lives to play with in the game, so make sure you pay very close attention to the objectives you need to meet before starting a level. More than once we’ve convinced ourselves that we just had to get a high score, then realized we’d missed out! Once you’ve run out of lives in Papa Pear Saga, you’ll need to wait a little while for your stock to top up again. – Keep your eyes peeled (no pun intended) for any special boosters that crop up from time to time. You can buy more with credits, or create them with combos, but if you see a booster appear at random during a level attempt, divert your efforts towards picking it up. – One other way to pick up a few useful extra points is to aim your pear directly into the buckets, without the shot bouncing off the sides. Useful to know if you’ve got a completely clear game board, and a clear shot at the bottom of the screen. – Every now and then you’ll come across some very powerful special pegs that can really change the flow of the game. Here’s a breakdown of how each one works, and why you should do your best to grab ‘em. Effect: Creates a duplicate copy of your existing pear, making it much easier to destroy the remaining pegs, which in turn helps you get a higher score. Effect: One touch of this special peg, and your pear will turn into a blazing inferno that sets fire to any pegs it comes into contact with. Papa Pear Saga is a puzzle game from King where you will need to shoot balls down a game board to touch as many of the other balls on the screen before the ball reaches the bottom. Knowing how to manipulate the board and balls to your needs can be difficult, but with our quick start guide you’ll have all of the tips, tricks, and walkthrough you’ll need to stay ahead of the game. To get started quickly, go ahead and click on the “Play Now” button at the top of this screen. 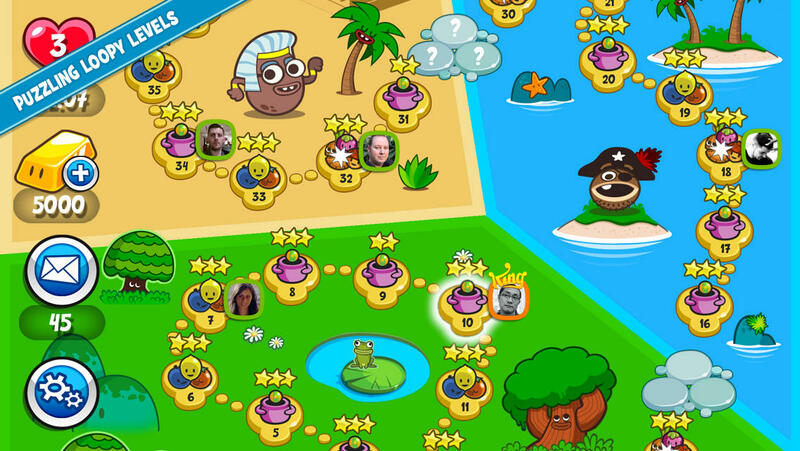 Papa Pear Saga is a free to play game, so there’s no worry if you discover it’s not your bag. Once you start the game for the first time, you will be shown the title screen where you can choose to either login with Facebook or just begin playing without being connected. Playing the game requires that you know how to control it, so we will go over that first. In the first level of the game, your objective is to land balls into the three buckets at the bottom of the screen. To move the ball thrower at the top of the screen, tap and drag on it to move it around until it is in the position you’d like it to be in. When the guide is in the position you’d like it to be, tap on the screen to shoot the ball in the direction of the guide. Hitting the pins along the way will earn you extra points, so it’s best if you aim the balls you shoot at the pins scattered throughout the board. When you shoot three balls into the three different buckets at the bottom of the screen, the level will end. You’ll then be shown a results screen that summarizes the level you just played. On the results screen, you will see the star level for the level, your score, and how you stack up against your Facebook friends if you opted to connect. When you are finished observing the results screen, you can choose to head back to the main menu or to just move on to the next level. Before you begin Level 2, you’ll be shown the goal screen for it. Level 2, for instance, has a goal of 5,000 points. Any points less than that will result in less stars collected for completion. If you opt to move to the main map screen, you’ll be shown the list of the levels you can play. If you’d like to replay a level, you can tap on it to do so. As you progress through the game, you will come to find that there are several worlds within the game for you to travel between. You won’t have to change worlds: the transition to these new themed worlds will occur automatically. In further levels, you may have to knock down fruits into the buckets, along with goals that can be much more difficult than what you are used to. Progressing through the game also means the game will become increasingly more difficult. In Level 3 for instance, there will be two more buckets than usual. You only have a limited amount of balls you can use to make all of the buckets, so use them wisely – especially in the more difficult levels. Multipliers are available in the game, and are great for increasing your score over multiple times without even trying. To receive a multiplier to your score, all you have to do is eliminate one type of pin on the board. The multiplier will then add to your score automatically, and will stack with other multipliers. Once you’ve earned the multiplier, you can choose to use it in every level you play from then on. When you start a level, there will be a boost bar on the screen in which you can select any boosts you’ve earned while playing. Other boosts can be earned in much the same way the multiplier was earned. When you earn a new boost, you will be given a small amount of them to use in future levels. If you wish to use the boost after that, you will have to purchase them with gold. Gold must be purchased to be used, so be careful with your boosts before using them. If you happen to fail a level by running out of Papa Pear balls, you are given the option to pay Gold to continue in the level and begin where you left off, or to give up and reset the level.